Did you know that the average furnace lifespan is about 15 years? Even if you trade it in for a newer model before its time, it will not yield much in terms of resale value. This means keeping your furnace properly maintained is a smart move. Put simply, you need to consider running your furnace through to its planned maximum lifespan. In order to do this, you must hire the best air conditioning technician for the job. You need to keep a watchful eye and acknowledge any unusual signs your heater might need a tune-up. It is simply a matter of spotting the problem before it becomes a major expense. You do it with your other household appliances, so you really should keep an ear open for indications of a pending wall furnace repair. When did you have a qualified HVAC technician check on the condition and report on the need for a wall furnace repair? At a minimum, your filters will need replacing regularly. Your local HVAC repair outlet will offer monthly inspection services to assist, but annual check-ups are important too. Write it in your diary before a furnace repair heads your list of problems. 1.Ignore Maintenance at Your Peril – When last did you have a licensed HVAC technician check on your furnace? If it was a year or longer, you are overdue an inspection. Avoid putting it off further, because you could be overlooking serious issues in terms of furnace repairs. This is similar to ignoring knocking noises from your auto’s engine, with great expense the inevitable outcome. 2. Signs of Water Pooling – Potentially, your gas furnace can suffer either gas or water leaks. The former is not only dangerous; it is virtually undetectable apart from a possible gas smell around your home. Water will always find the easiest way through, so spotting leaks should be easy, providing you check for a pending wall furnace repair regularly. 3. Strange Noises – Weird noises emanating from your furnace are a definite warning, one that indicates an immediate repair is imminent. Vital checks to your wall furnace could arise from a bang, thump, or scrape noise, indicating something is amiss in your HVAC system. Have a trained technician check your installation before it turns into a major problem. 4. Faulty Thermostats – A faulty thermostat is more than ineffective because it means you need to turn the heat ever higher to warm your home. If this is happening in your space, a furnace repair may prove necessary. A thermostat controls the volume of heat produced and if it is ineffective, you need a professional assessment. 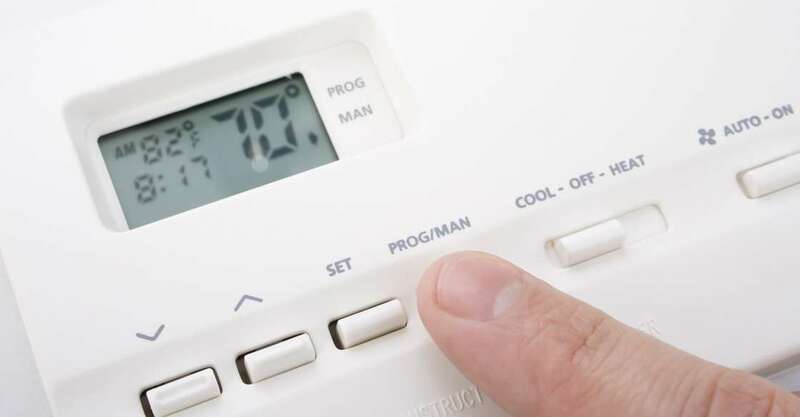 Thermostat malfunction prevents you from keeping your home heating budget energy efficient. Get it checked! A wall furnace repair is an integral part of good HVAC housekeeping, so avoid putting off this important maintenance issue. For AC heating and air conditioning services in the San Diego area, contact the Global Heating and Air team. Get a free estimate, and then get the job done right.